I was the first attorney in Georgia to be awarded punitive damages against a motorist who used his cell phone at the time he caused a car wreck. This jury verdict was back in 2002 in DeKalb County, Georgia. The law regarding distracted drivers has changed since that time; mainly, due to numerous and horrific collisions by distracted drivers that have resulted in death and serious injuries. I have over 11 blogs regarding distracted drivers. Today marks a milestone in curbing and preventing motorists from using cell phones while operating vehicles as Governor Deal has signed HB 673 that had been passed by both the House and Senate. Effective July 1st, the State of Georgia has outlawed drivers from operating a motor vehicle while: 1) physically holding or supporting a cell phone; 2) writing, reading or sending any text or communication from a cell phone or stand alone device; 3) watching a video or movie on a cell phone or stand alone device; 4) recording or broadcasting a video from a cell phone or stand alone device. Additionally, truckers are prohibited from: 1) using more than a single button to make or stop a call on a wireless device; and 2) reaching for a wireless or stand alone device that would result in the trucker getting out of his car seat or removing his/her seat belt. 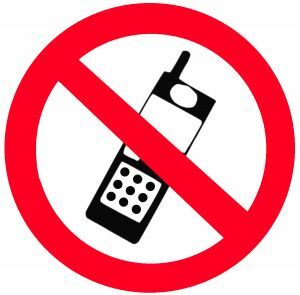 However, motorists are allowed to: 1) send written communications by a voice activated device; 2) use GPS or similar device for navigation; 3) report an accident, hazard, criminal or emergency situation; and 4) use a cell phone or stand alone device while parked. Moreover, utility workers, firefighters, police, ambulance personnel, etc. can use a cell phone or stand alone device while responding to an emergency while on the job. The “Textalyzer” is a device that allows law enforcement officials to review an individual’s cell phone usage using a machine that was developed by forensic technology maker Cellebrite. When the Textalyzer is connected to a target’s cell phone, it reveals if and when a phone was active and lists the apps that were being viewed or used and the times at which the phone was active. The Textalyzer has not yet been deployed for use by law enforcement personnel, but proponents and opponents have raised justifiable concerns regarding how the technology will be used to reduce texting and driving while balancing Fourth Amendment privacy concerns. 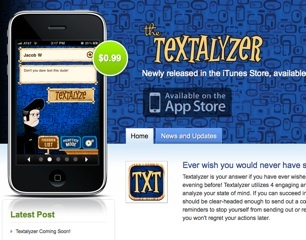 The name Textalyzer is so-named because of the device’s similarity to the breathalyzer device as both are a means of subsequently collecting data following an accident or traffic stop. Thus, defense attorneys have raised concerns about the implications on regulating the effects of refusing to consent to a Textalyzer analysis. If an individual is pulled over on suspicion of drunk driving, he may refuse consent to a breathalyzer, but withholding consent will result in an automatic one-year suspension of the driver’s driving privileges. So, if a similar requirement is imposed upon individuals stopped on a suspicion of texting and driving, individuals may be forced to choose between relinquishing control of their cell phone over to law enforcement officials or lose driving privileges for a year. However, proponents of the Textalyzer argue that the design of the technology itself prevents the infringement of citizens’ Fourth Amendment protections against unreasonable searches and seizures. The device only reveals if the phone was being used and how it was being used. It does not display the content of a text message or email. But, while the device in its current state does not appear to have the capability or option of displaying the content of texts or emails, it is only a matter of time until prosecutors begin to ask for an expansion of the technology to afford them the opportunity to view the content of those messages as a means of solving more serious crimes. Right now, because the Textalyzer is not in use, drivers can only be charged with texting and driving if they are caught “red-handed” in the act of texting while operating a motor vehicle. Thus, the deterrent effect of the statute in its current form is minimal, as the burden on law enforcement officials is great and the risk of enforcement as to each individual driver is low. The opponents of the Textalyzer technology admit that texting while driving is indeed a problem necessitating some action as an attempt to minimize the frequency of texting and driving. To be sure, texting and driving includes not only sending a text message while operating a motor vehicle, but also prohibits the use of a cell phone generally while operating a motor vehicle. Before enacting a statute authorizing the widespread implementation of the Textalyzer as a means of combatting texting and driving, legislators must weigh the importance of combatting the use of cell phones while individuals operate motor vehicles with privacy concerns and individuals’ Fourth Amendment rights. Why did four Langston Hughes high school students die this past Monday? It was noted that the driver of the SUV that contained four other students ran a red light. Under Georgia law, that is referred to as failure to obey a traffic control device that is codified in O.C.G.A. 40-6-20. The law requires that the driver of the SUV shall obey “the instructions of an official traffic-control device” unless otherwise directed by a police officer in an emergency situation. The facts do not indicate that an officer was present who instructed otherwise. But what made the driver fail to obey the traffic control device? The news articles are silent as to the reason and the only survivor, Lexus Todd, a high school girl (the 5th high school student), has not provided the answer at this time. It was around 1 p.m. and sunny at the time of the wreck so weather doesn’t appear to be the issue. The facts and photographs of the scene do not indicate any visual obstructions to the driver. The investigation should later reveal whether or not there were any malfunctions with the brakes – but I highly doubt it. So what was it? It seems that teenagers are bombarded with electrical messages or music from the sky, land, home and school. Most own or use a smart cell phone. It would not be unheard to perceive that five teenagers cramped together in an SUV would be laughing, singing, joking or carrying on. But, what was the driver doing just a second before the crash? The holidays are here and I know most of us are excited because we get to travel, and have fun as well as adventure. The excitement and anxiety that comes with holiday travel makes most of us not to sleep well yet we are supposed to be behind the wheel. Well, worry not because I’ve got good news for you this holiday season! New applications (“apps”) are being created every day in an attempt to make American lives more productive and entertaining. The problem is such apps are being used by motorists while driving their vehicles and trucks on the highways and roads of Georgia and the nation. Over 10 years ago, we all figured out that there was an increase in distracted drivers due to use of the cell phone and text usage. We tried to curb that issue by developing new technology such as Bluetooth and voice recognition. In addition, the U.S. Department of Transportation created a program to stop texting and cell phone usage while operating a car that can be viewed here. Fast forward to the here and now, we see that new technology is once again making the roads and highways unsafe for safe drivers. Some of the suspected apps that have contributed to car and truck crashes include the following: 1) a messaging app called Snapchat that allows motorists to post photographs that record the speed of the vehicle; 2) a navigation app called Waze that gives motorists points with each and every report they make of traffic collisions and jams; and 3) an entertainment app called Pokemon Go that lets motorists hunt for Pokemon creatures while driving. Experts have confirmed that new technology (such as WiFi) and new apps have directly caused highway deaths to spike despite past declines over the past 40 years. In fact, the recorded fatalities last year had the largest percentage increase in over 50 years! In 2016, highway fatalities have increased over 10% to 17,775 as compared to 2015. These statistics and reports have been compiled by the National Highway Traffic Safety Administration. You would think with increased technology relating to crash avoidance in cars such as forward collision warning (sensors determine distance and speed between vehicles and warns driver with audible alert of potential collision), auto brake, lane departure warning and lane departure prevention (track vehicle position within lane via camera and alerts driver), adaptive headlights (headlights pivot around curves and corners based on speed and steering wheel movement to illuminate the road ahead), park assist and back over protection (sensors and cameras help avoid crashes during park and backup maneuvers), adaptive cruise control (forward sensors maintain a forward safe gap between your vehicle and the vehicle in front of it while maintaining a variable cruise control) and blind spot detection (sensors that monitor nearby cars that enter your lane), that traffic related fatalities in Georgia would be on the decrease. However, according to the Georgia Department of Transportation (GDOT) study, the number of persons killed in car wrecks has actually increased by 12% for the first time in nine years. According to statistics, 704 people died on Georgia roads through August 2014 and in 2015, that number increased to 791. To put that in perspective, the statistics for traffic fatalities in the country have increase 14%. Previously, the GDOT saw a decrease in fatalities every year for almost the past decade. The question becomes what is the reason(s) behind the alarming increase in traffic fatalities? The GDOT believes there are several factors, including less expensive gas, better economy and distracted drivers, among others. However, the GDOT maintains that the majority of the fault lies with people that operate vehicles while distracted, including texting, tweeting, checking emails, cell phone usage, eating breakfast/lunch/dinner and makeup. As most of us know, it is illegal to text and drive in Georgia. Yet, a good number of drivers still drive and text on the roads of Georgia. I was interviewed by the Atlanta Journal Constitution for an article dated March 27, 2007 regarding a 2007 new DeKalb County law that allowed for a citation up to $500.00 for drivers whose “improper” use of a mobile telephone was deemed to be a contributing factor to a collision. In that interview, I discussed my contention that such a law would be difficult to enforce and prove by the investigating police unless the offending motorist admitted it (not likely) or an eyewitness saw it. The investigating police do not have the financial means and time to subpoena the cell phone service carrier to determine if the motorist was on the phone at the time of the wreck. Additionally, some motorists contend that even if they were on the phone, they were using a Bluetooth system which was hands free and did not constitute a distraction. Since that time, there is a statewide law against texting and driving. However, the problem remains as to enforcement and proof. According to several studies, the number one cause of death among teenagers is driving a motor vehicle. In fact, car wrecks account for 25 percent of teen deaths per year. It is estimated that enough teenagers die each year to fill the halls of one to two large high schools. The Governors Highway Safety Association released a report in February of 2013 that reflected that teenage deaths were up almost 20 percent between the first six months of 2011 and the first six months of 2012. If the final six months of 2012 remain statistically consistent with the past data, then 2012 is the second year in a row of increases in teenager driving related deaths. According to the same report, Georgia had six teenagers die in the first six months of 2011 and five in the first six months of 2012 for a net of -1. Other states, such as Illinois and Texas have a much higher rate of teenage fatalities. For example, Illinois had 12 deaths over the same period and Texas had 30. It is easy to recognize that Illinois is currently in a serious fiscal situation and Texas has a much larger population as a whole. Some causes attributed to the rise of deaths include a healthy economy and driver licensing laws. I also believe that the rise of cell phones along with the temptation of teens to stay in touch whenever and wherever with their peers while operating a car is another newsworthy cause. It has been argued that as the economy strengthens, more teenagers are able to drive vehicles in greater numbers on the roadways of America. I assume with more money in their pocket, teenagers are more prone to discretionary driving despite higher or lower gas prices. I am sure that a poor economy affected the number of teenagers actually applying for licenses and the amount of driving. And, states that have seen reduced revenues in the past are pumping less money into driver licensing laws for teenagers, which lead to fewer drivers’ education and programs. Among teenage car accidents, a pattern has emerged. Typically, teen crashes occur with a group of teens generally driving with no set destination or purpose at night without seatbelts and in excess of the posted speed limit. The incidence of teenage driver crashes increases with more than one passenger, particularly if such passengers are male. The pattern reflects poor driving habits of teenagers. In my 20 years of practice, I have seen motorists cause collisions in numerous ways: allergic sneezes; falling asleep at the wheel; being under the influence of drugs or alcohol; trying to beat a traffic control light or another vehicle at an intersection; speeding and faulty brakes, among others. Over this period of time, mobile phones entered the marketplace and this new invention has caused significant impact on today’s motorists. Initially, these phones were large and cumbersome and did not adapt well to automobiles due to limited coverage, size or battery power. As time went on and technology improved, it was possible to bring a small cell phone into the car and operate as motorists traveled down roads. Then, the cell phone evolved into a smartphone, which allowed a motorist to text messages to others as well as speak while operating a vehicle. And…in my opinion…the ability to text while driving has caused a large upswing in car accidents today. I have blogged about the dangers of cell phones and driving here, here and here. Today, the Atlanta Journal Constitution published another online article regarding a car collision caused by the use of a cell phone. Earlier this morning, an older gentleman from Henry County, Ga., was killed as the proximate cause of a young motorist who lost control of her vehicle as she voluntarily took her eyes off the highway to the floor of her car to retrieve a dropped cell phone. According to the article, 18-year-old Selena Gonzalez of Seffner, Fla., was driving southbound on I-75 near Tampa, Fla., when she dropped her cell phone on the floor of her vehicle. When Ms. Gonzalez took her eyes off the road and reached down for several seconds to retrieve her phone, her Ford Expedition moved over to the shoulder of the road. As Ms. Gonzalez brought her gaze back to the highway, she attempted to steer her vehicle back onto the road and overcorrected, which caused her Expedition to flip several times before it came to rest facing east in the middle lane. At that point, Ms. Gonzalez exited her vehicle on a national highway in the middle lane and attempted to call 911 when another vehicle also traveling southbound on I-75–a Chevrolet Suburban operated by the motorist from Henry County–collided into Gonzalez’s vehicle. A short time later, a freight truck traveling in the same southerly direction struck the driver’s side of the Suburban killing the driver. The driver of the freight truck and Ms. Gonzalez were taken to the hospital for treatment of minor injuries. A major manufacturer/developer/distributor of smartphones has now developed a free smartphone app to help teens decrease and/or completely stop texting while operating a motor vehicle. On September 19, 2012, AT&T celebrated national “No text on Board Pledge Day” at a local high school in Atlanta that was attended to by an impressive gathering of law enforcement officers, state and city government officials, private sector leaders and teenagers. In essence, the event promoted abstinence of texting while driving and reinforcing the notion that a text can wait. The event also included a simulator that allowed teenagers to get behind the wheel and experience the hazard of texting while operating a motor vehicle. As the simulator demonstrated, it is virtually impossible to do both at the same time and expect safe results. The students wore virtual reality goggles, sat in a stationary car and were required to text, steer and/or brake – pretty much at the same time. Considering that more than 100,000 car crashes occur each year due to texting and driving (source: the National Safety Council), this is welcome news. The number one method of communication between and amongst teens is texting via a smartphone. The article estimates that today’s teenagers (persons between the ages of 12 and 17 years old) text 60 times a day on average. This average is up from 50 times a day in 2009. The time spent in receipt or composing a text while operating a vehicle is an average of 4.6 seconds. Depending on the speed that the texter is driving, the feet per second traveled varies. For example, if the teenager is driving at 70 mph, the maximum speed allowed on most state highways, the teen has travel approximately 102.667 feet per second for a grand total of 472.2682 feet over 4.6 seconds which is roughly 1.3 x the length of an American football field. That is a lot of ground to cover in such a short period. Of course, the ground covered is essentially in a blind state by the teenager. Cornerbacks covering wide receivers should be so unlucky. A survey by A&TT reflects that: 75 percent of teens text while driving; 89 percent of teens expect a reply text or e-mail within the time frame of five minutes or less; and 77 percent of teens witness their parents text while the parents are driving an automobile. These are sobering statistics indeed and the fact that the percentage is so high regarding parents’ use of smartphones while operating a motor vehicle is frightening. More so, when you think that teenagers look up to their parents for guidance and leadership. It appears that parents should’ve accompanied their children to this event for a ride in the simulator.